Meet my fantastic Driving Instructor team! I’m Jennifer and the founder of Jennifer’s Driving School. 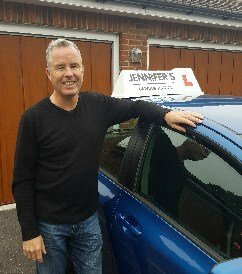 I started working for myself and slowly built up a trustworthy and loyal small team of instructors who consistently get people through their driving tests and get glowing reviews from their pupils! "Dear Jen! Thanks for all the help last week! You are by far the worlds greatest driving instructor! Every time I go for the indicator ... I'll be thinking of your words ... 'Mirrors before signal Rob' 🙂 Hope this message reaches you in good health Jen." "Dave is a great instructor I recommend him very highly. I come from Latvia and Dave very quickly got me used to the UK driving rules and regulations. I thought I would struggle with roundabouts and dual carriageways but Dave gave me the confidence to adapt quickly and I passed first time with only 3 minor faults. Thanks Dave for giving me the confidence to pass!" Emma is very much client focused and a people-person. She has worked for victim support for the police and has also been a 111 call handler for the ambulance service. Previous to this Emma spent 20 years working for a bank, a lot of that involved training/coaching/facilitating. Emma’s dad is a Senior Driving Officer for Hampshire County Council and is often on TV talking about safe driving - she must be a chip off the old block! "At the time I started to learn driving with Emma I knew nothing about driving. Emma is very patient with me and explain every detail to me. She is very encouraging as well which is helpful to boot my confidence and make me enjoy driving rather than being stressed. She puts me at the centre of learning and tailored the learning experience to my needs and capabilities. I really appreciate Emma to be my driving instructor." Tracey teaches automatic lessons and is a GRADE A driving instructor. This is the highest grade possible and very few instructors achieve this grade. She has many years experience and is extra good with nervous pupils. Tracey is also a hypnotherapist and life coach and can teach pupils techniques to cope better with test day nerves. She is easy going and extremely patient and friendly and a very popular instructor! She often gets booked up so contact us asap if you’d like to book in with her. 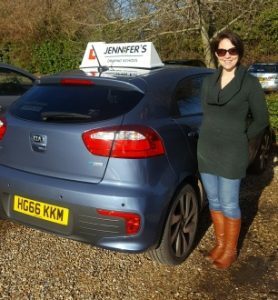 "I had a few previous instructors before Tracey but just never seemed to drive consistently well. After failing previous tests, I was loosing faith. Tracey's methodical techniques were easy to understand and apply. As a life coach and hypnotherapist she definitely improved my self confidence behind the wheel and for the first time I began to enjoy driving. I couldn't recommend her highly enough as a driving instructor." Debbie is from Bournemouth and has very good knowledge of the local and surrounding areas. She trained to become a driving instructor in 2009. Debbie is patient and her lessons are calm, friendly and relaxed. Debbie teaches in a manual Ford fiesta diesel. 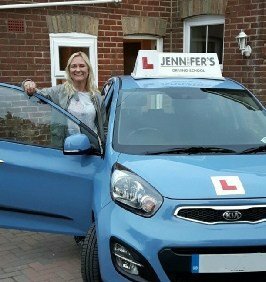 "Debbie (Bournemouth) is a fantastic instructor. She gave me enough confidence. She is very energetic, optimist and got good teaching skill (both driving knowledge and handling people). Definitely would recommend Debbie if you are looking for motivating instructor." 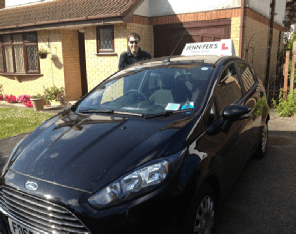 Gary moved to Poole from Essex and is an experienced driving Instructor and advanced driver. Gary is patient and calm and ensures his pupils have an enjoyable learning experience. He encourages his pupils to be confident, assertive and safe on the road. He drives a Ford Fiesta diesel. "I found Gary to be a patient and understanding driving instructor. It's rare to find a teacher who adapts to help you understand clearly. He broke down Manoeuvres and instructions when it wasn't clear, and as such, with a good teacher. He made me confident and enjoy my lessons. With his help I passed first time and have to say am an excellent driver now with his knowledge. I'm truly thankful to him." Sally is a real asset with years of teaching experience. Sally qualified as a driving instructor in 1987 and is a GRADE A instructor. She is patient, friendly and her lessons are relaxed and calm. Sally has a Nissan Micra (latest model) and teaches manual driving lessons. She covers Christchurch, Boscombe, Bournemouth and surrounding areas. "I am thrilled to have passed my test today with Sally. I would just like to say a massive thank you to driving instructor Sally for getting me through my test and I will be recommending you to everyone I know, your patience was well appreciated ...Thank you SALLY ....Thank you Jennifer’s driving school!" Jonathan is a very popular driving instructor. He consistently gets people through their tests with very few minor faults and has had quite a few pass with zero faults! Jon is easy going with a great sense of humour. His relaxed and approachable style means he is recommended a lot and I often get pupils request him. Jon’s lessons are fun, relaxed and enjoyable, you will hardly notice that you’re learning such an important skill! "Just spoke to Jonathan-he's lovely! Thank you for your very quick reply and help, I'm booked in for the 18th." Tom covers all areas between Poole and Weymouth including Swanage, Wareham, Bere Regis and Dorchester. Tom is a GRADE A driving instructor, the best you can get. 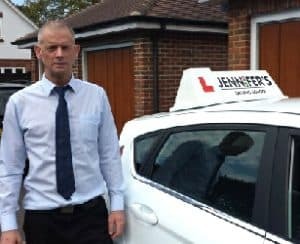 He has been an approved driving instructor for 15 years. For the last 10 years he has worked as a driver trainer for the Ministry of Defence at various army and marine camps. He has a 35 year Motorsport background including driver training at corporate track days. Tom has also worked recently as a driver trainer for Porsche. Tom enjoys the challenge of helping nervous pupils and likes to specialise is motorway driving, pass plus etc. Tom can help you with all aspects of your driving tuition and has a wealth of experience, so nothing will faze him! "I had my lessons with Tom and i could have no have asked for a better instructor. Great at communicating the necessary information to his pupils and has a distinct care for his pupils. Thank you tom and i would definitely recommend him to anyone that wants to pass on their first try." Nick is an experienced high grade instructor and has a great sense of humour! He is always popular due to his relaxed teaching style. You’re guaranteed to have a laugh with him! Nick has moved to the Isle of White and is able to cover all areas on the island. Nick has a Diesel Ford Fiesta. "Just passed my test today!!! Thank you, thank you so much Nick, I wouldn't have done it without you!!! You are an amazing instructor with loads of patience and fantastic sense of humour! 😛 Would recommend to everyone. The best instructor ever!" Tony is a highly experienced GRADE A driving instructor, the highest grade you can get. He qualified in 1988 and has recently been teaching soldiers to drive at Bovington Camp. Tony has a gentle nature and is very reliable and trustworthy. He will be able to help you pass your driving test efficiently and help you feel safe and confident on the road. Tony drives a Ford Fiesta turbo diesel and covers all local areas. "I learnt to drive with Tony, and I honestly believe I passed so quickly because of his instruction. He was so patient with me from the start, but still made sure I was constantly pushing myself so that when it came to the test I was fully prepared. He taught me how to drive, not how to pass a test, and I'm really grateful for that. Thanks Tony, I'm so happy to have passed but it does feel like the end of an era!" Noel qualified in February 1995 when he set up his own driving school that ran for over 20 years. The Driving Standards Agency asked him to be involved in the setting up of the Log Book and Pass Plus system. Noel has also taught LGV (large goods vehicles) for a number of years. He was a grade 6 instructor for nearly all of this time. He enjoys motorsport and has attended many F1 races, and also take part in off road motorcycle endurance riding when time permits. 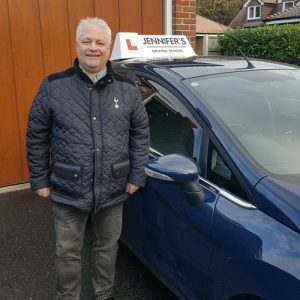 "Noel was a brilliant instructor, I failed twice with someone else and didn't really understand where I was going wrong. Noel quickly identified my problem and he helped me understand what I was doing wrong and correct it. I passed with 1 fault on my next test." As you can see, Coco takes her job seriously. She enjoys organising the day to day running of the Office. 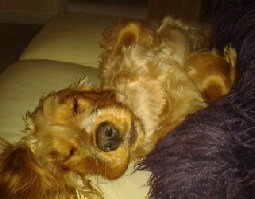 "Coco is an efficient worker although I often find her sleeping on the job."